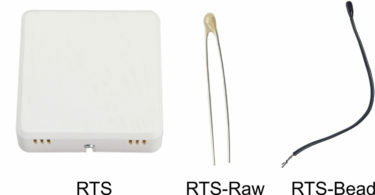 Temperature Sensors Archives - Temco Controls Ltd.
Bacnet Room Setpoint & Temp Display can be used in environment monitoring and controlling in industrial,commercial and other buildings,Modbus RS485/Bacnet MS/TP for direct digital reading on all models. 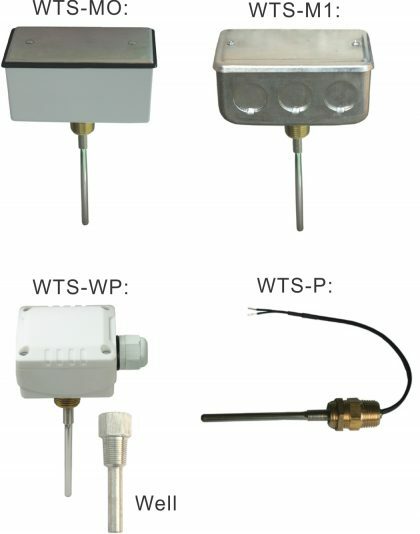 The Boiler stack temperature sensor and thermowell are designed to monitor the temperature of boiler stacks, steam lines and other applications where the temperature is above the operating range of typical HVAC thermistor type sensors. Maximum operating temperature of 300 Deg C (570 DegF). 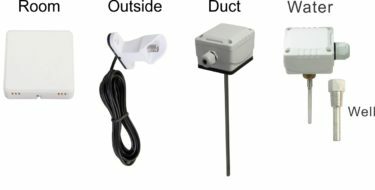 The temperature sensor is designed to measure outdoor air temperature in typical HVAC applications. Mounting is quick and easy using two screws and no electrical box. 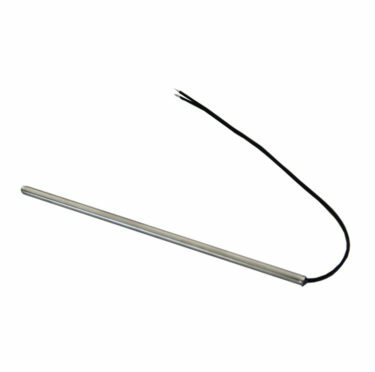 The thermistor is a well sealed stainless steel probe which is then inserted into a hard rubber PVC radiation shield. The cable is two meters long which allows terminating inside the building in an electrical enclosure or with flying leads. The cable can exit directly behind the probe and into the building through a hole, or it can exit vertically and run down the wall. A foam backing seals the hole in the wall if there is one and also serves to thermally insulate the probe from the wall. The probe is filled with thermal grease for quick response. This sensor is used to measure water temperature of heated or chilled water and other liquids in mechanical systems. 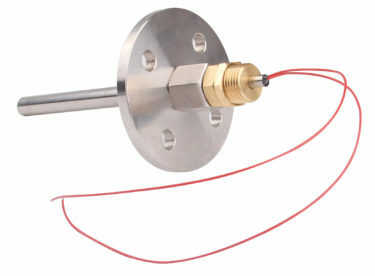 The sensor is called an immersion type where the sensor is mounted in a brass or stainless steel thermowell which allows the probe to be removed from the pipe without draining the system and protects the probe.There are four thermistor based models, and one RTD version to provide compatibility with the majority of DDC systems. 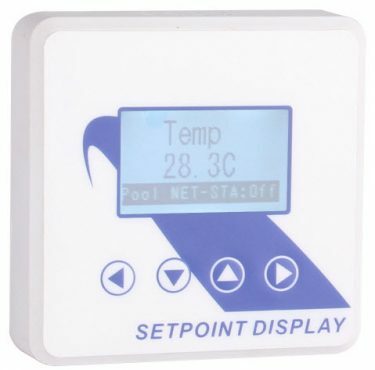 This temperature probe is suitable for a variety or high temperature applications such as floor heating, solar heating systems and domestic hot water heaters to name a few. The sensor element is housed in a stainless steel probe which is 6mm diameter x 50mm [2in] long. 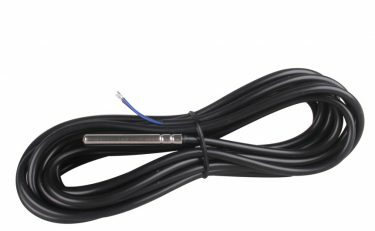 The cable is 4.5 meter long and is a high temperature material that is tough and highly durable.The probe is available with custom thermistors and Pt elements, nearly all the popular ranges are available with very small minimum order quantity. The strap-on Insert sensor consists of a stainless steel sheath temperature sensor, thermal conducting compound, and an adjustable pipe bracket accessory. The stainless steel sheath temperature sensor is suitable for direct application to pipe surfaces for chilled or hot water measurement. 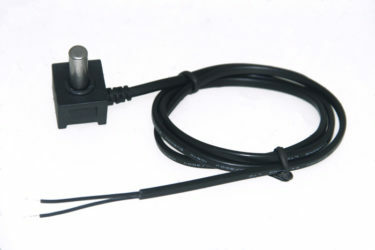 This Probe Temperature Sensor comes standard with a 0.6″ Stainless Steel Temperature Sensor. 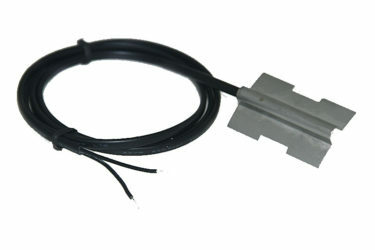 This sensor is a 10K Thermistor, with an industry standard Type 2 curve.Connected to the end of the Sensor is 2 UL2468 26/2CAWG 105°C Black Wires with tinned ends. 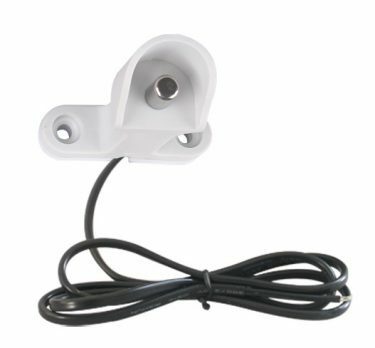 The room sensors are used to provide reliable, accurate temperature readings in surface-mount room environments, Energy Management Control Systems, compatible with all the leading control systems.They feature a standard plastic ventilated enclosure.